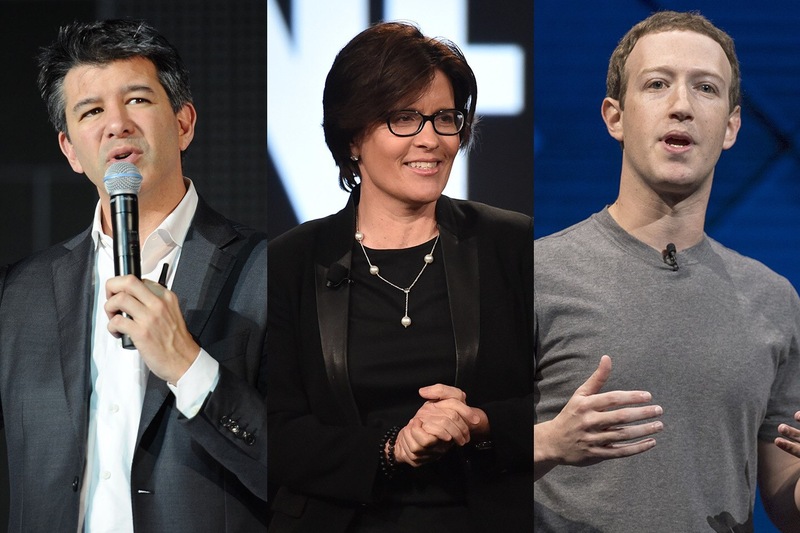 Uber’s Travis Cordell Kalanick, Kara Swisher of Recode, and Mark Zuckerberg of Facebook. Vanity Fair’s tech expert Nick Bilton just did a remarkable podcast with Kara Swisher, the legendary technology reporter and co-founder of Recode. The two of them dish about leading members of the tech industry in ways you never heard before and Kara talks about her intentions to run for Mayor of San Francisco. It’s fun listening to them banter about their personal lives and what they really think of Mark Zuckerberg of Facebook, Travis Kalanick of Uber, Steve Jobs of Apple, Bill Gates of Microsoft, and others. Find out about which CEO has panic attacks before interviews, which one has an inferiority complex and the one they dislike the most. I truly can’t believe they revealed so much, including information about their personal lives, career desires, and challenges at work. I felt like I was eavesdropping. It was interesting to hear their opinions and insights. If you want feel like an industry insider, be sure to listen to the podcast. Click here. This entry was posted in digital, senior lifestyle, tech and tagged Kara Swisher, Nick Bilton by loiswhitman. Bookmark the permalink.